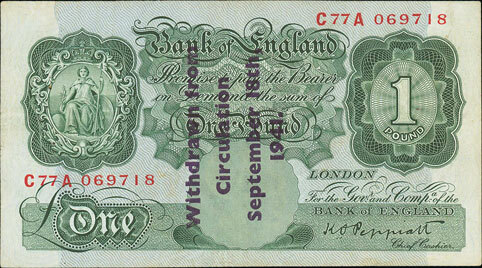 We began with the British banknotes section, highlights of which included this Bradbury 1918 10/- which realised £177. 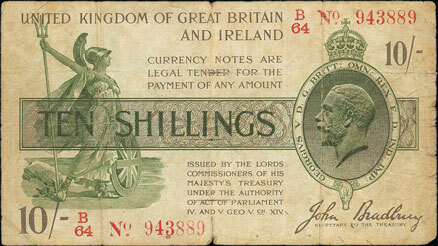 This Peppiatt States of Guernsey 1934 overprint, graded as good fine, sold for £306. Moving on to the world banknotes section, this British West Africa 1916 2 shilling achieved over double estimate, realising £483. 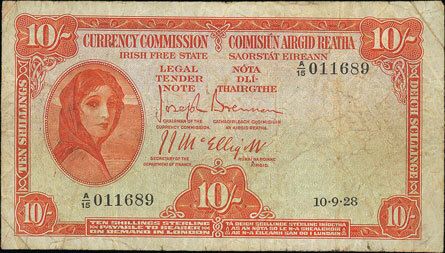 This Republic of Ireland 1928 10/- with A/15 serial number, graded as about fine, realised £283. 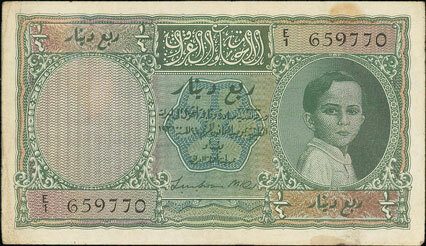 And this Iraq 1942 issue ¼ dinar, graded as nearly very fine, sold for a whopping £1,416! 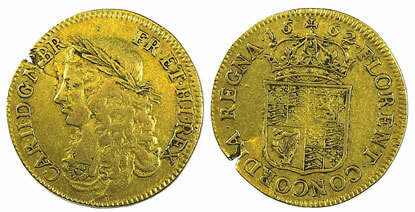 Highlights of the British coins section included this 1662 pattern broad, graded as fine, which achieved £1,239. 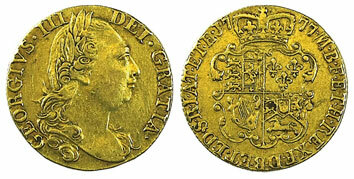 This 1743 crown, graded as very fine/ good very fine, realised £649. And this 1777 guinea achieved £472. 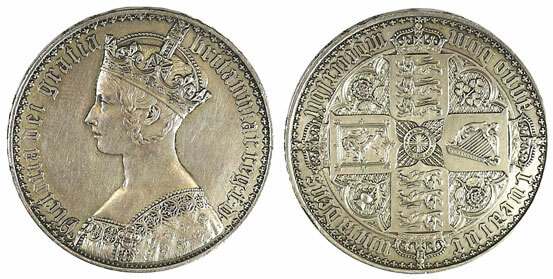 Always a popular coin, this beautiful 1847 Gothic crown, sold for a very healthy £1,298. 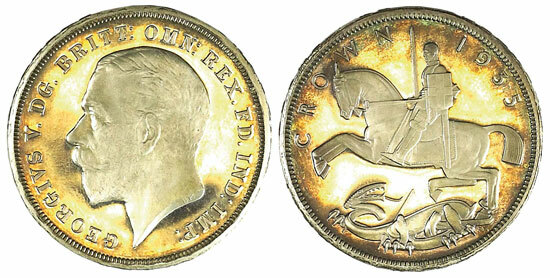 And this sought after 1935 boxed proof crown achieved £495. In the British gold coins section this 1837 sovereign, graded as fine/ good fine, realised £578. The highlight of the world coins section was this USA 1872S $1 Seated Liberty, graded as good very fine/ extremely fine, which sold for £554. 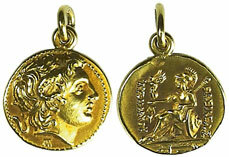 The auction ended on a high note with this unusual Ancient Greece Kingdom of Trace Lysimachos gold coin selling for a very respectable £271. Our next coin and banknote auction will be held on Wednesday 17th August 2016. Look out for the full catalogue for this sale, which will appear on our website aproximately three weeks before the sale. Also keep an eye on our Twitter and Facebook pages which will include updates of our latest auction news.